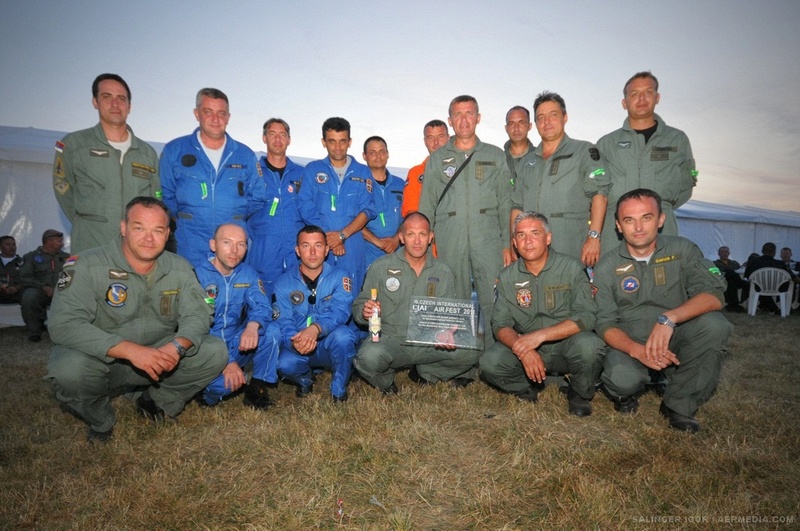 Lieutenant Colonel Miodrag Ristic, with the Technical Testing Center of the aircraft "Orao" (Eagle) of the Serbian air force was awarded by the CIAF air show organizers 2011 for the best flight performance on the international air show event. 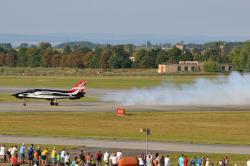 CIAF 2011 (Czech International Air Fest - The International Czech air show) is the most important event of its kind in the Czech Republic, which is held in the town of Hradec Kralove. In front of dozens of thousands of visitors, two days Air Show Lieutenant Ristic demonstrated superior skills flying J-22 "Orao" air plane. Lt. Col. Ristic has been flying " Orao " since 1991. , and has displayed his skills at national and international events since 2004. year. In this type of aircraft has more than 900 hours of flight time. Somewhat surprised by being selected as giving the best performance air”, Lt. Ristic said, adding that this was one of his most momentous career moments, while remarking that this was not a personal, but a team award, the technical team that supports the performances of "Orao" in Serbia and abroad being the credited ones, but also the entire TOC and the Serbian Army. Air Force Command Chief Colonel Dusko Zarkovic, who leads the delegation MoD and SAF in the Czech Republic, after the air show said that the organizers and colleagues from the Czech air forces had been great hosts to the Serbian air men, which was confirmed by the aforementioned award and the fact that the host had expressed their expectations that the Serbian plane would be seen in future again. 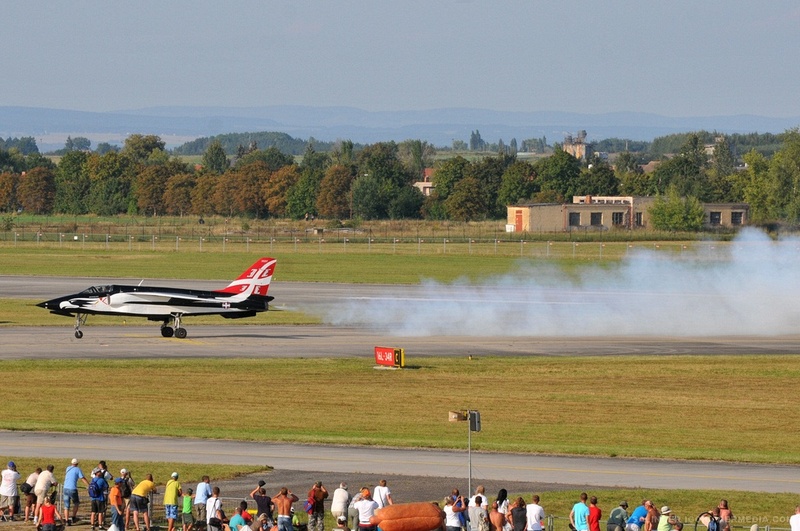 CIAF military and civilian air show saw the performance of about 80 aircraft from Slovakia, Great Britain, Germany, France, Poland, Belgium, France, Hungary, Latvia, USA and Serbia. 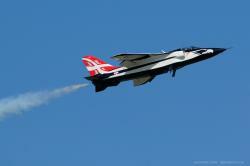 The award for best group show was won by the Polish air acrobatic group "Orlici" and members of the British Royal Air Force (RAF) was given the award for the best exhibition.